Yesterday Ladybug and I spent the afternoon together and I taught her how to sew a pillow out of two hankerchiefs. I have been promising to do this w/her for quite awhile now and today is the day. She did a great job and I will post some pictures after we finish stuffing them. I was so excited about my first blog post that I showed it to her, her first reaction was “Seriously Mom?” do you really want to share that with people that you know? She critiqued the background on the blog design and said it looked like an old junky house. I don’t care, I’m leaving it up as it is!!! It’s my baby and I love it. Isn’t that the point, the old stuff in the house or am I the only one getting the punchline? Anyway, hopefully my house doesn’t look quite like a resale shop or old/antiquish and that I have put some life into some of the recycled new to me items. I do have a disclaimer of my curbside finds, please don’t think I live trashy by any means. I draw the line with certain items such as pillows, undergarments (well you get the picture!). Don’t get me wrong, I love new furniture items and pretty new things but these days who can afford it all? It’s also part of the “thrill of the hunt” and I get such satisfaction out of “that perfect find” and making something look new again. I have many projects and finds that I have digitally kept track of this past year during Buttercup’s nap times and will start off by showing those first in an effort to not be tempted to purchase more “supplies”. I keep justifying all of my trips to Home Depot and Sherwin Williams to My Love that it’s either that kind of thrifty shopping or weekly trips to the mall, Hobby Lobby, Home Goods or Kirklands. I can’t deny it, I still sneak away budgetmindedly shop those stores and love it!!! just not as often as I would like to. My Love usually gives me a silly grin and lets me be anyway, that’s why I love him so much! 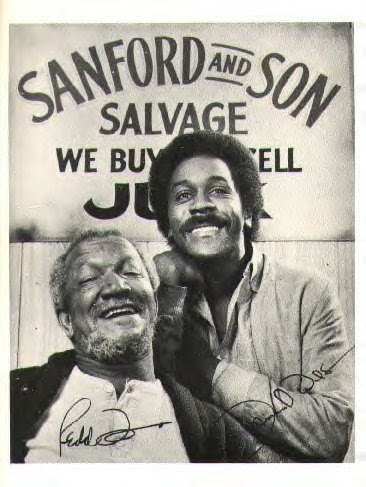 Dear Lord, Please don’t let me accumulate as much craptastic junk beauties in the rough that Sanford did. I don’t think my neighbors would appreciate it! Amen! Next Article Why So Many Lamps?